He was quoting the Bible, Revelations. "Behold the pale horse." The man who "sat on him was Death… and Hell followed with him." The Hurt And Bernie Caption Contest is now over. 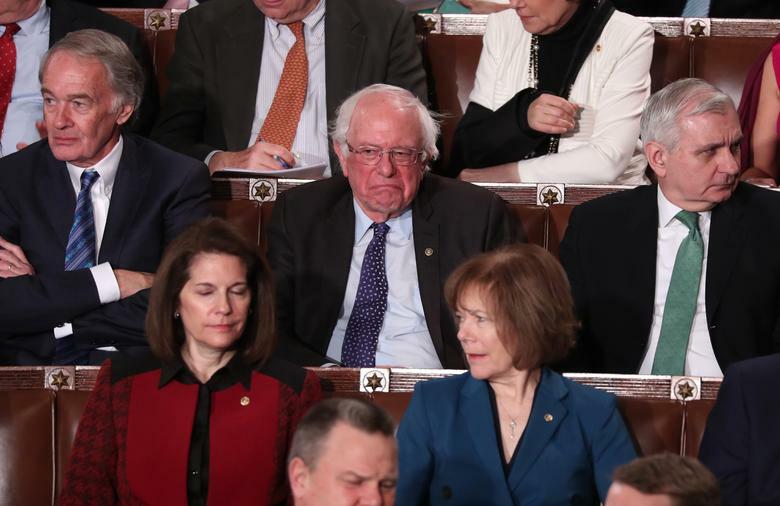 Posted on February 11, 2019 February 11, 2019 by WyattPosted in Caption ContestTagged Bernie Sanders, State Of The Union Address. I must confess, it was your tax dollars that provided me with the basis for that Photoshop, so I guess that makes me like Bernie and Pert! She. Will. Never. Go. Away. Wyatt on McCain Family To Endorse Biden? Have something you want to say? A tip, suggestion, compliment, complaint, or pictures of Vica Kerekes? Send them in. Email me!